It’s great news that the first tenant has been signed up for the ground floor of the old Fisons building in Princes Street, writes Labour Leader of Ipswich Borough Council, David Ellesmere. The complete refurbishment of the building was a major step forward for the area. The old building was semi-derelict and a blot on the landscape. It was a big leap of faith by developer Malcolm Hobbs to invest £9million in refurbishing the building without first securing a tenant but that gamble now appears to have paid off. The Borough Council played a key role in working with Malcolm to bring this about. The council owned the freehold of the site which was leased for a small annual payment, fixed back in the Sixties. However, the remaining length of this lease was too short to make it worthwhile any developer spending millions of pounds on the building because there wasn’t long enough left for them get their money back. The deal the council did to sell the freehold meant that the refurbishment was able to go ahead. Without it the building would probably have remained empty for decades. We also got the building placed inside the Princes Street Enterprise Zone which gives new tenants business rates relief of up to £55,000 a year for the first five years of occupation. This is obviously a major selling point of the building alongside its prime location, close to train station but also only a few minutes from the town centre. Hopefully the rest of the building will now find occupiers too. Just along Prince Street, construction work is progressing well on the new Birketts headquarters. 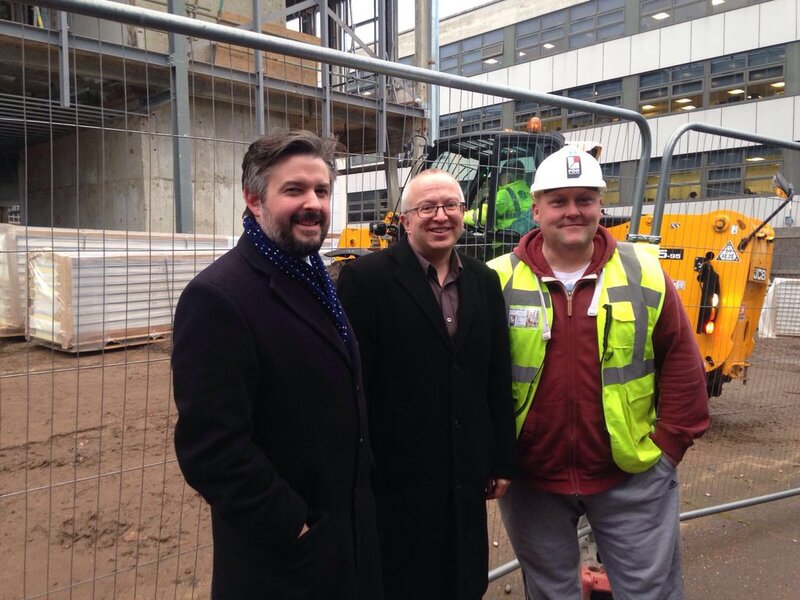 This is a major regeneration project which will secure hundreds of jobs in Ipswich. This is another project that needed a similar deal to the Fisons building because of a relatively short unexpired lease. In this case we have gone a step further and are also funding the development through the council’s new commercial property company, Ipswich Borough Assets. Once construction is completed, the council will become the owner and the rent we receive will help to protect council services from the £12million of Government funding cuts over the next four years.